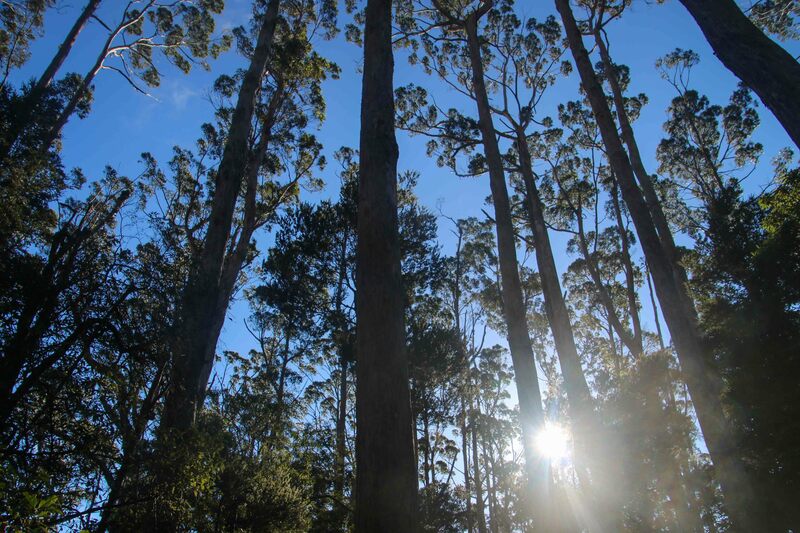 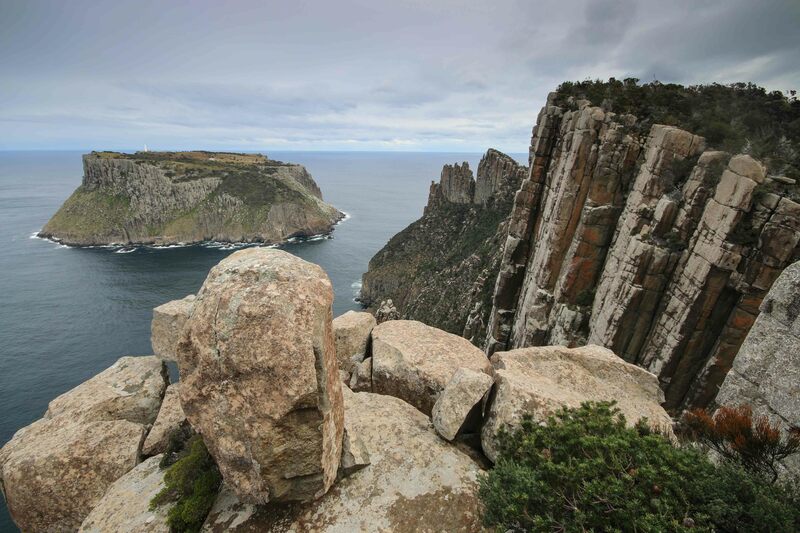 We may still be in the depths of Tasmania’s winter months, but the 1/2 price winter deals along the newly-opened Three Capes Track were too good to refuse. 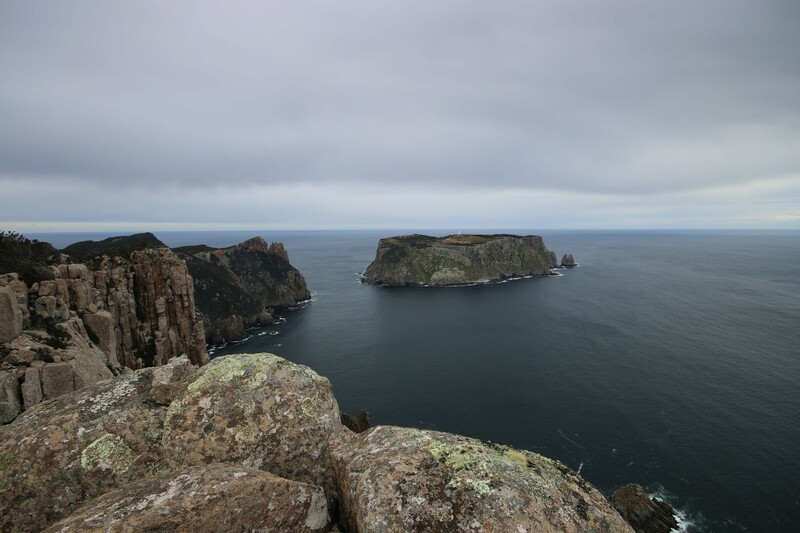 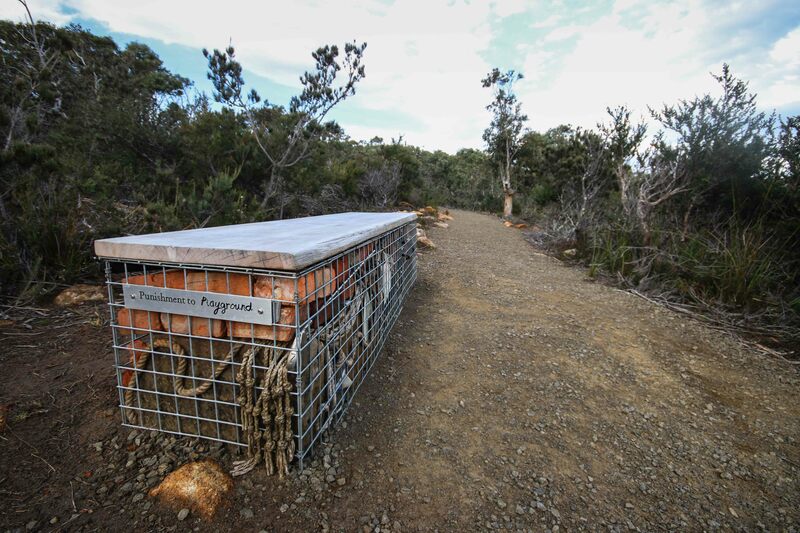 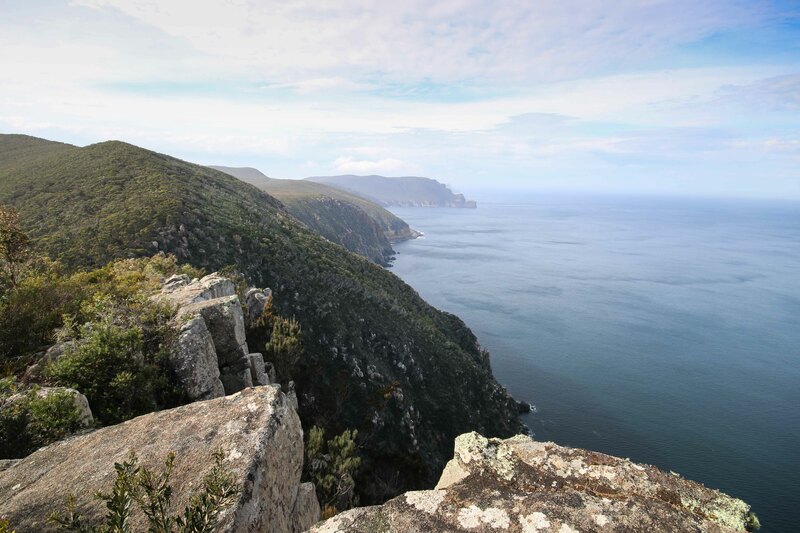 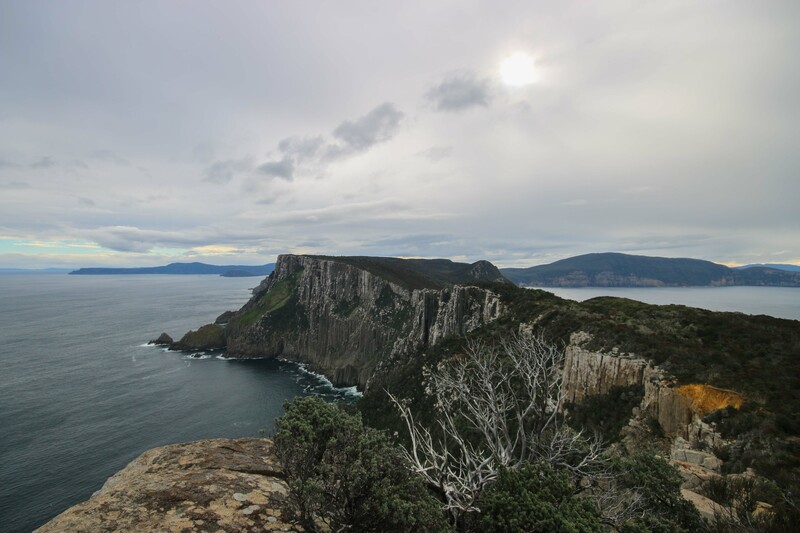 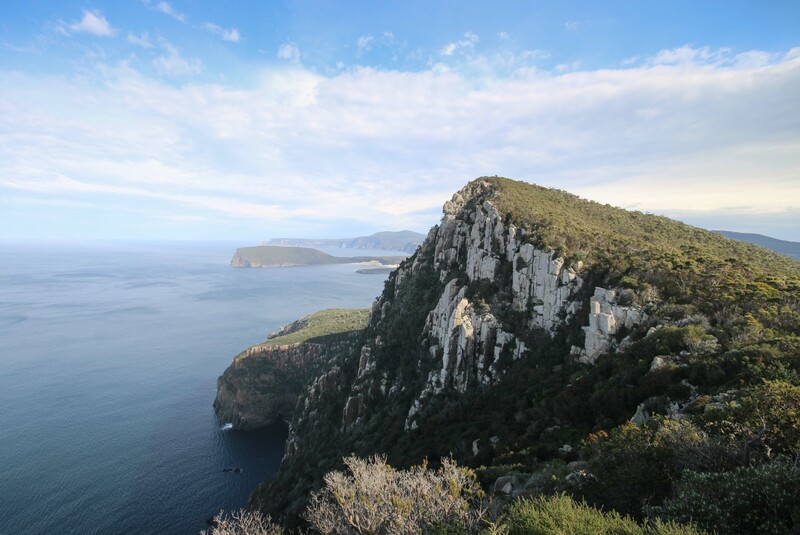 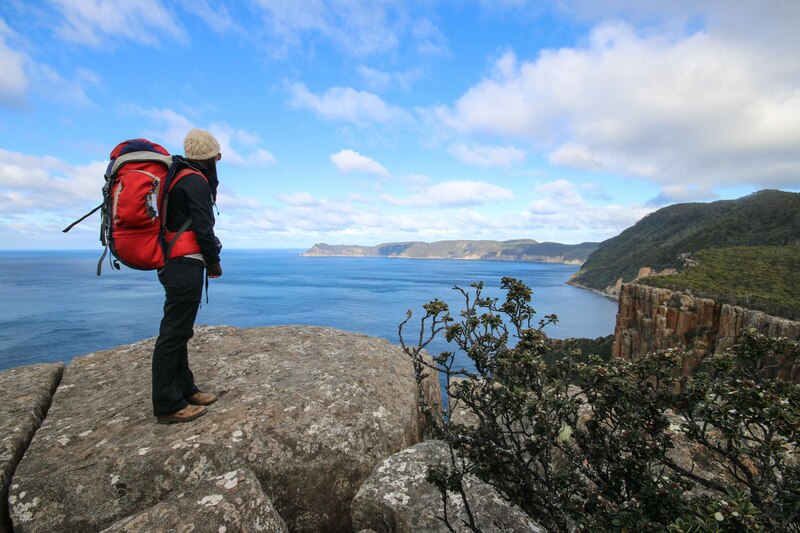 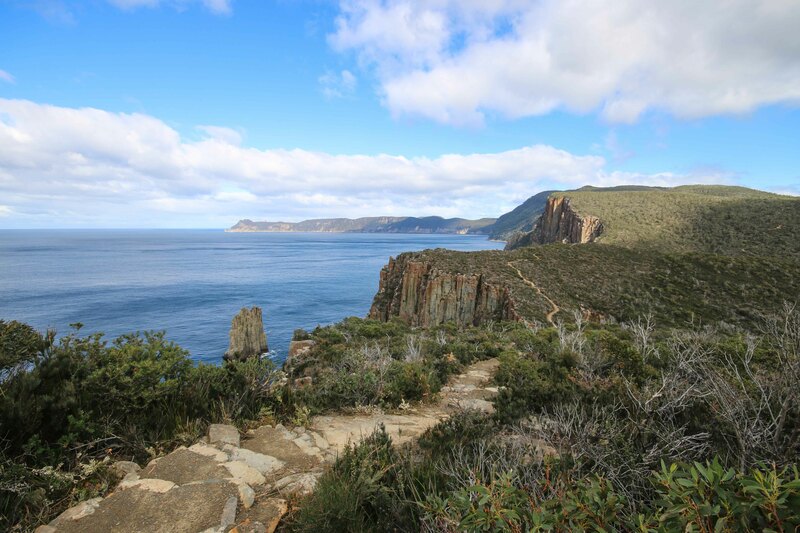 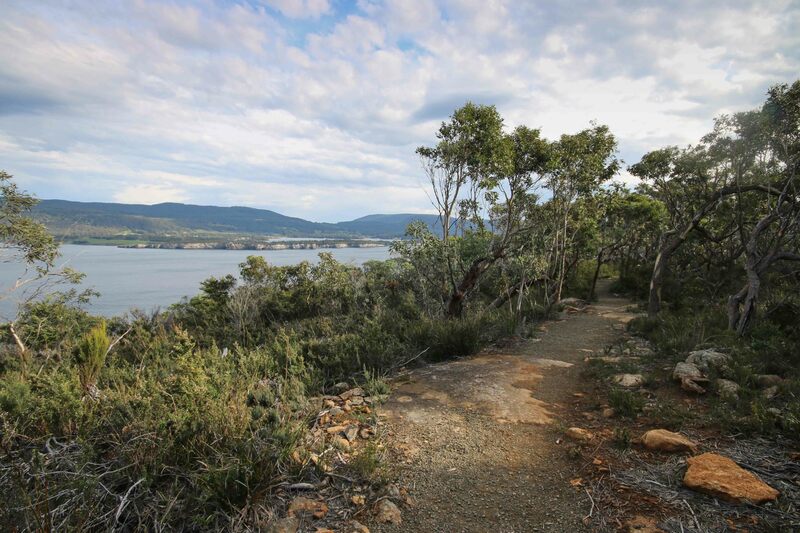 Traversing some of the island’s most spectacular coastal cliffs, from the historic penal settlement of Port Arthur to the pristine white sands of Fortescue Bay, the Three Capes Track is a somewhat luxurious multi-day trekking experience. 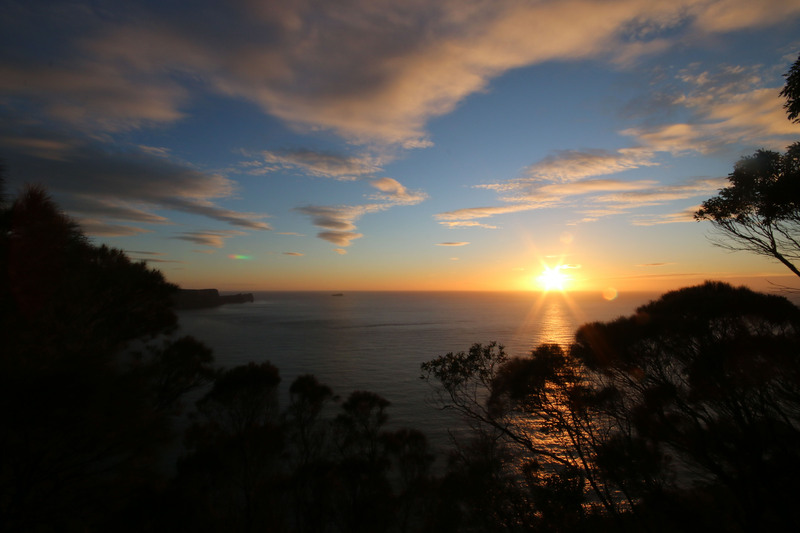 There are three cabins along the route, fully equipped with cooking facilities, utensils and gas, together with pellet heaters to keep you warm on those chilly winter nights. 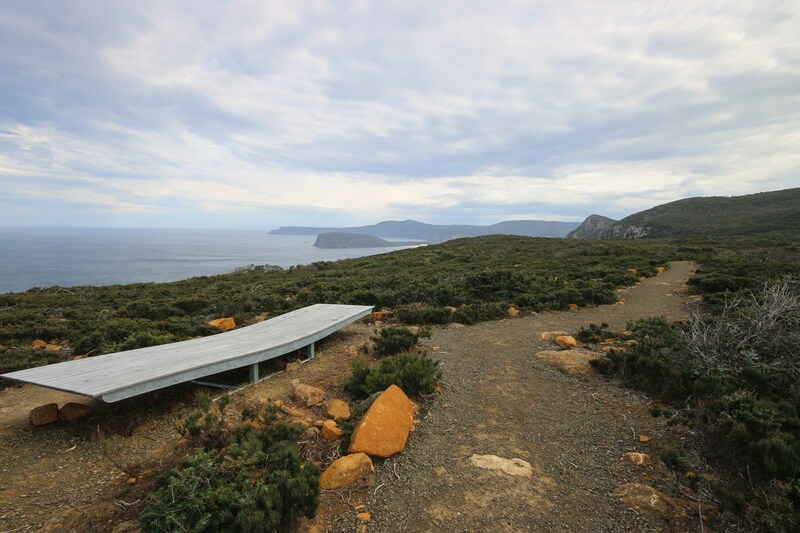 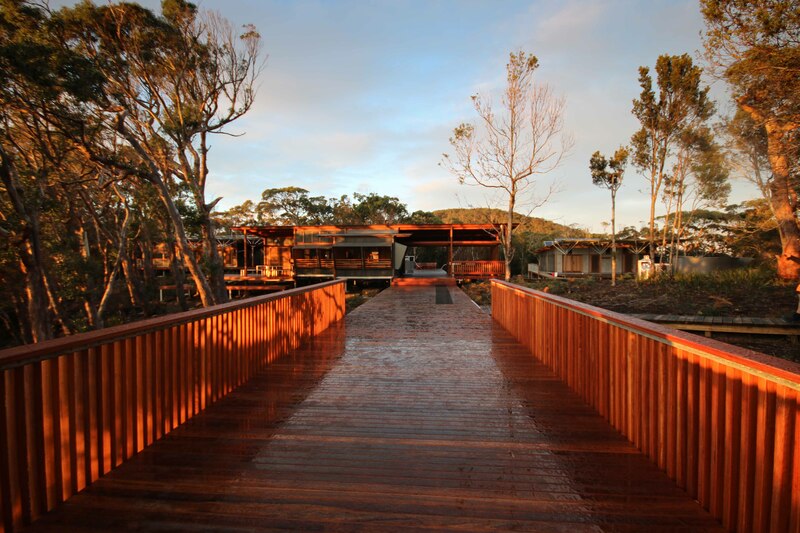 The track is not just about soaking up the incredible scenery, but also the natural and convict history along the route, with an interpretive guidebook and locally-made sculptures to inspire you along the way. 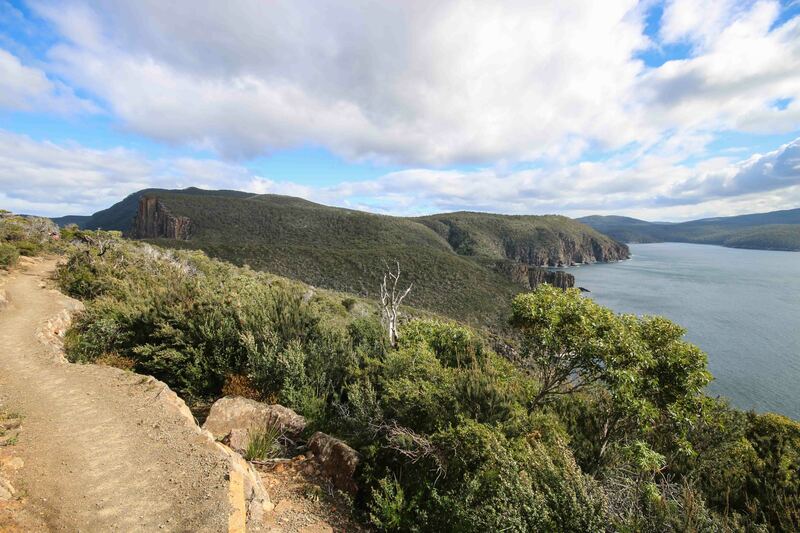 One of my favourite aspects of the walk was the mini library at each hut, stocked with Tasmanian plant and wildlife books and novels inspired by Tasmania’s wilderness. 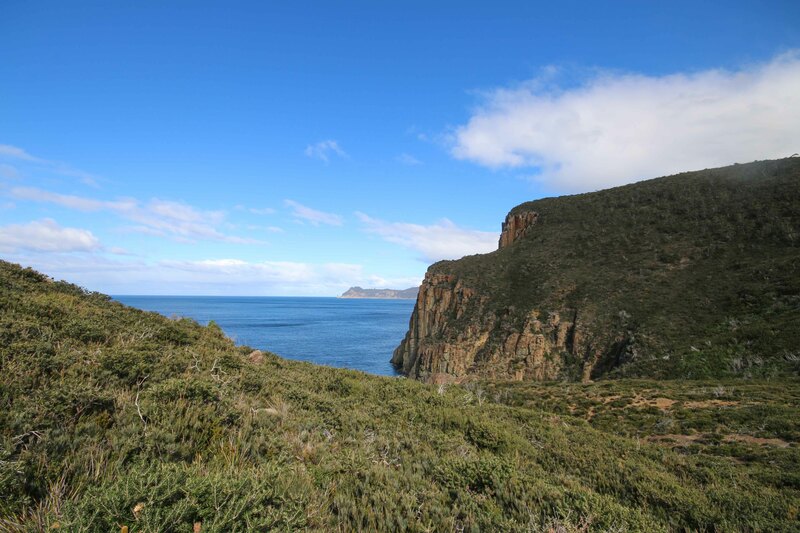 I think we were really lucky with the weather! 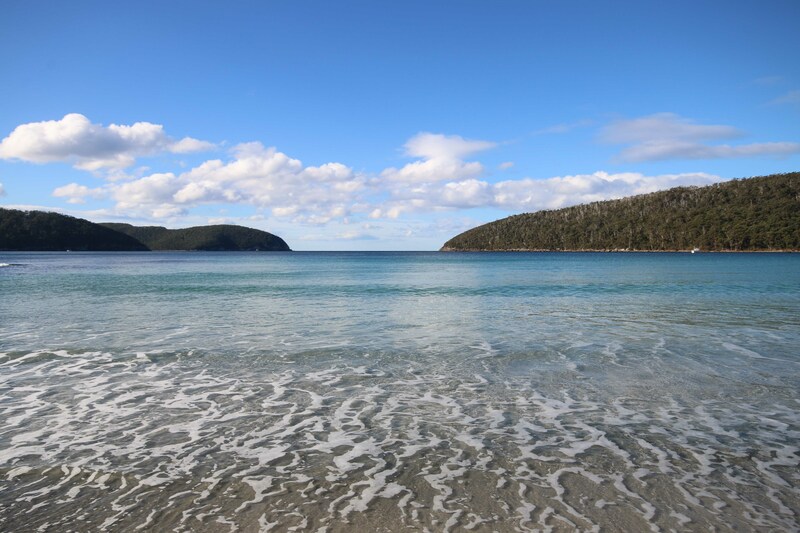 Even went for a dip at Fortescue Bay when we arrived at the end!